Music is art conveyed through sound. It is prevalent in almost all human cultures, used in contexts ranging from religious ceremonies to commercial entertainment. Music is even commonly used as a form of therapy. For those who are hard of hearing or completely deaf, though, music is difficult or impossible to experience. The goal of this project is to attempt to communicate music to people who are deaf or hard of hearing through vibrations and light. Deaf people are inherently dependent on senses other than hearing for communication. Typically people with hearing impairment are more visually acute and will also utilize vibration as a means of communicating. Because of their predisposition to these senses, it is most natural for them to experience music using touch and vision as proxies for audio signals. This will enable them to access a medium that is socially and culturally relevant, and there is even research indicating that conditioning the brain of young deaf people to process vibration the same way other people process sound could actually carry developmental benefits. The proposed device for this project, comprised of a vibrating vest with thermoelectric modules that connects to a MP3 player, is designed for mobile use. It will allow users to play any audio and experience it physically. The audio cord, which contains signals that represent music, will be fed into an Arduino that will turn them into vibrations and temperature changes. The user will feel the vibrations of the music in their arms and the small of their back. By feeling the relative frequencies of the music through the chair and feeling chills at significant moments in the song, the user will be able to experience music in their own way. This project is in progress. The design is complete and parts are being ordered. Caregivers and nurses often have to watch over several patients at once. There are certain times that a patient may have to take medication or need to be moved in order to prevent bed sores. If they are asleep, however, nurses will have to wake them. Patients may become grumpy, groggy or difficult to wake if they are in a deep sleep. If we can track which sleep cycle a patient currently is in, caretakers can take advantage of a light sleep cycle to wake patients. Patients may also leave the bed unbeknownst to caretakers so the device could double as a bed alarm as well. Our goal was to design a device that can track a patient’s sleep cycle based on movement. Using an accelerometer feeding into a microcontroller, an algorithm analyzes the accelerometer data from a patient’s movement on the bed to translate it into what sleep cycle he/she currently is in. We plan to be able to plug in the data into a computer alongside all other data in a patient monitoring system. This way a nurse can monitor multiple patients from a central location. This project is in progress and has a working prototype. Disabled individuals can need assistance when moving around wheelchairs, bed, a bath, and when using the toilet. A Hoyer Lift is a system for raising and lowering an individual who needs this assistance. The lifts are typically automated and a caregiver is needed to help operate the device. Needing an assistant to help with these basic life activities reduces an individual’s independence. The goal is to build an automated Hoyer Lift that an individual can operate without help. This project is in progress. The design is complete and construction of a prototype has begun. Individuals using a wheelchair can find it difficult to carry, open and hold an umbrella while operating the chair. As a result, they either get wet when it rains, or avoid going outside if there is a possibility of rain. The goal is to create a system that attaches to a wheelchair that gives an individual with disabilities access to an umbrella. Prof. Ventura connected the group with an individual who uses a wheelchair, and the design is being developed through discussions with him. The design will focus on improvements to automated wheelchairs, and will be based on an automated canopy design (similar to the one on a baby carriage). The group is using Solidworks to create assemblies for the final wheelchair umbrella model and working on finding off the shelf components that will be needed while learning about arduino programing. This project addresses the problem of elders falling and not being able to get back up. This is a significant issue as the population of people over the age of 80 has expanded from 69.2 million in 2000, to a predicted 379 million in 2050. In 2012 alone 2.4 million nonfatal falls were treated in emergency departments. The CDC also reports that of those falls, 70-80% of elders had no serious injuries, but often even if the elder is not hurt, they are not able to get themselves up without some kind of aid such as another person or a nearby chair. Our device is intended to be an accessory to a basic medical walker. Through our experience visiting elders and speaking with our partner, Little Brothers Friends of the Elderly, we have concluded that this is the kind of walker that the majority of elders have, so therefore our device will be able to help the most people possible. The purpose of the device is to attach to a medical walker, and be able to function as a chair when the elder is in need of one, but fold away so as not to inhibit regular walker use. The chair is useful both as an aid to help an elder push themselves up when they are on the ground after a fall, or to easily rest in when they begin to feel weak, which is a sign of an impending fall. Our device uses two horizontal aluminum support bars that connect the front and back legs of the walker. A plastic seat is connected to these support bars at the front of the walker. It uses a spring so that you can pull it down, but it is naturally in the “up” position. The bars are at an angle such that the seat rests on the bars for support. In addition, we are designing a wheel lock system using a latch attached to the bottom of the walker leg. When the elder is on the ground they will be able to flip a rubber block that is above each wheel, and the spring will force pressure onto the side of the wheel, inhibiting it from moving. This project is in progress. The design is currently being finalized. Kids with severe developmental delays are not able to use the same toys that kids without disabilities are able to use. Most of their limitations are so severe that they have very little motor control, verbal communication skills, and vision. These children have few opportunities to affect their environment and to get stimulus in response. The children at the Carter School of Boston are the one percent of disabled kids with most sever needs. The goal is to build a toy that suits the Carter School students’ cognitive levels, stimulates the students, encourages them to interact, and rewards them for impacting their environment. An integral part of our design will be to use both light and noise as rewards, in order to reach more students’ unique needs. Build a Large Lite Brite game that caters specifically to the needs of the Carter School students in order to better enhance their abilities than other toys that are available on the market. The pegs will be big enough to comfortably fit in their hands, as they cannot grip objects that are very small. In addition, as most of the students are visually impaired to some degree, we will sufficiently block the light coming from inside Lite Brite until a peg is inserted into one of the holes. This will ensure that the students are only visually stimulated with light and rewarded for their efforts if they successfully complete the task of inserting a peg. Lastly, we want to provide multiple forms of reward to accommodate more of the students, so we will also texture some of the pegs for those students who are sensitive to touch, as well as have a music option on the Lite Brite to provide audio stimulus and reward as well when a peg is inserted successfully. This project is in progress. An initial prototype has been built and the group is working with the Carter School to make changes. There are currently about 50,000 people with locked-in syndrome (LIS) in the United States. Locked-in-syndrome is a condition that results in complete paralysis with the exception of the eyes. This condition reduces the patient’s ability to communicate with the outside world using conventional methods. The current communication methods for these patients are limited, time consuming, and dependent on other individuals.! Our goal was to build a system that allows the user to express approximately 1.25 words per minute, which is twice as fast as the current best approach, partner-assisted scanning. Our system uses a computer to run an on-screen keyboard application. Our system uses a clinical measuring technique called electrooculography, or EOG. The technique relies on the physiological property that the front of a person’s eyes is more positively charged than the back of the eyes. We use this standing voltage difference, called the corneoretinal potential, to determine which way the uses his or her eyes. By looking at the desired character on the screen and then blinking, letters can be selected. Our GUI keyboard application contains letters A-Z and numbers 0-9 as well as common punctuation, text-to speech functionality, and saving to a text file. This project was tested by John, an individual with locked-in syndrome, who is supported by Lifestream. He was able to type a paragraph of text much more quickly and without the help of a support staff member. The project also won second prize in NU’s Capstone Design Competition. Larry Christy is a 42-year-old man originally from Quincy and now living in New Bedford. He was in a car accident and experienced a traumatic brain injury (TBI). He moves around by controlling a wheelchair using head movements. He lost most of his ability to move his legs and arms, and can no longer speak clearly. When he does speak, it is very slow and requires a lot of energy from him. He typically communicates by having support staff members interpret messages that he types by pointing at letters on a printed keyboard. This approach is also slow and does not give Larry privacy in his communication.! Our goal was to build Larry a communication system that lets him communicate more effectively without the help of a support staff member. We built an adjustable keyboard and monitor tray that attaches to his wheelchair. The tray can be raised or lowered, and the mounting arm swings out of the way to let him in and out of the wheelchair. Larry types on a special computer keyboard with large keys that connects to a personal computer. The keyboard is attached to the tray by velcro. This project is complete! Larry is using the communication system regularly to talk to his family, friends and support staff members. He loves using it, and finds it to be very convenient.! Larry would be interested in having the output from the keyboard be directly connected to other programs, like an email client or Skype, to make communicating even easier. He wonders if it would be even better if the monitor could be mounted on a wall so he wouldn’t have to move around with it attached to his wheelchair. Over 30,000 children and adults have Cystic Fibrosis (CF) in the United States. In CF patients, the lungs produce thick, sticky mucus that clogs the lungs and vessels. Because the lungs are difficult to clear with coughing alone, the resulting build-up of mucus can lead to potentially life- threatening lung infections. To manage these complications, patients with CF must adhere to a multifaceted treatment plan typically including antibiotics, airway clearance therapy, and supplements to aid in nutrient absorption. Adhering to and correctly performing a treatment plan correctly can be very difficult. Sixty percent of CF patients have indicated that barriers to compliance include lack of time, forgetfulness and unwillingness to perform treatment in public. This project resulted in the Clear Path website, which provides patients with necessary information about Cystic Fibrosis, helps them make informed choices regarding their condition, teaches patients about the treatments available to them so that they can play a proactive role in managing their condition in conjunction with their care teams, and equips patients with the tools necessary to successfully perform Autogenic Drainage, one of the most effective airway clearance techniques. In making these resources readily available, the site works to ease the burden of sticking to a complex treatment regimen. Ultimately the project aimed to empower patients such that they feel in control of their Cystic Fibrosis. This project is complete! The website is active. 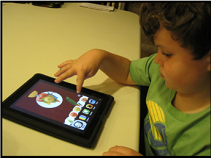 Children with developmental delays take therapeutic classes that use iPads. However children often have trouble pressing buttons on the screen of tablets, and sometimes press the wrong button. Teachers would like tablet covers that make it easier for children to only select the items on the screen being used for a lesson. The covers nead to be easy for teachers to place and remove, hard for children to remove, and should be cheap enough to be customizable for each application. The device was requested by teachers at the South Shore Educational Collaborative in Hingham, and the For His Children Orphanage in Ecuador. Our goal was to develop a design for iPad covers to make it easier for children for developmental delays to learn using tablets. The covers need to be transparent, minimize screen gap, connect securely to the iPad, and should not impede access to the buttons or charging port. The project is complete! The touchscreen guard was delivered to the orphanage in Ecuador by Prof. Hayward and her Physical Therapy students.